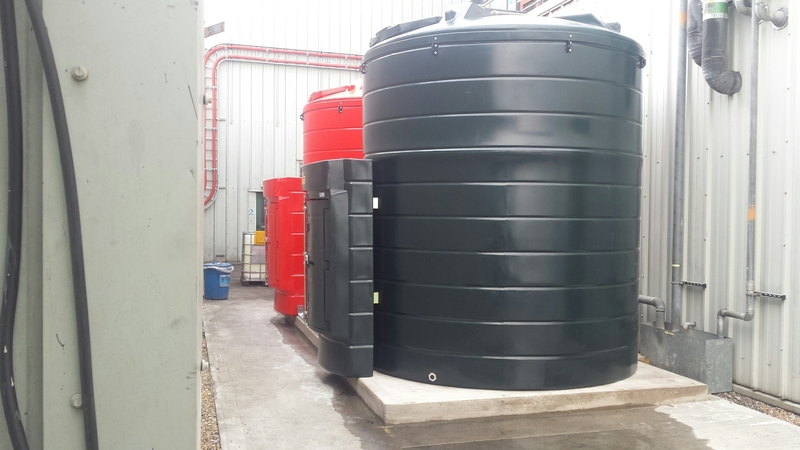 Our client came to Tuffa looking to bulk store both hydraulic oil and waste oil (a mixture of hydraulic oil, slide lube and water). 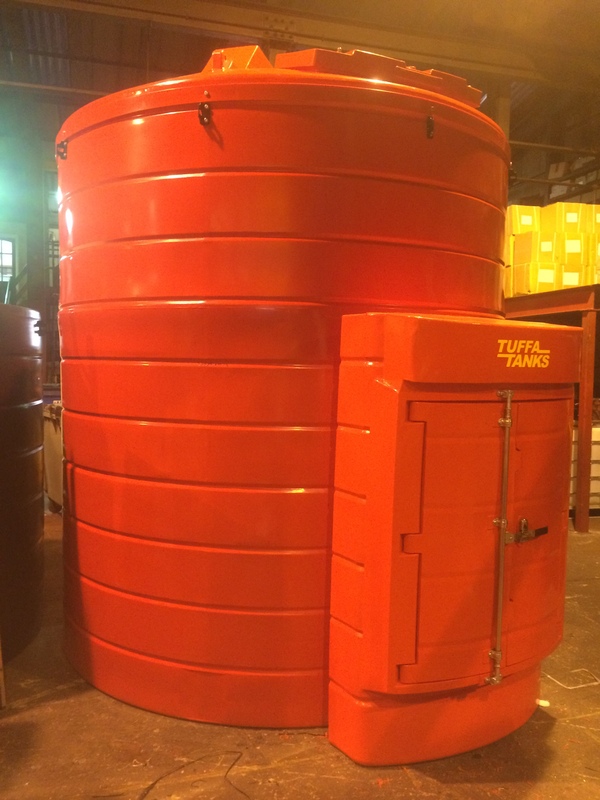 Two of Tuffa’s 15000VB tanks were fitted with customised equipment to accommodate the storage of these two different liquids. 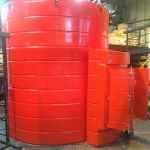 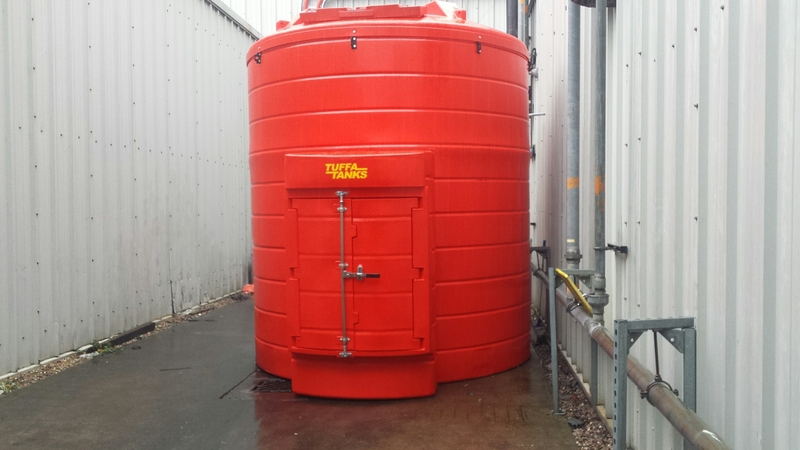 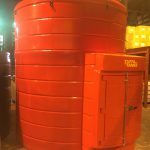 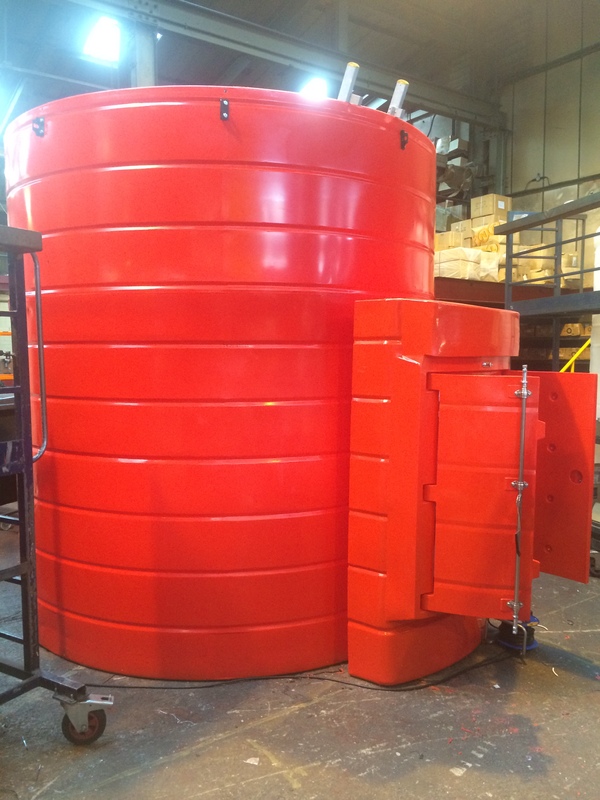 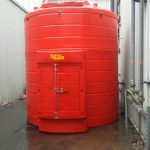 The waste oil tank was manufactured in Red polymer, whilst the other manufactured in our standard high quality Black polymer. 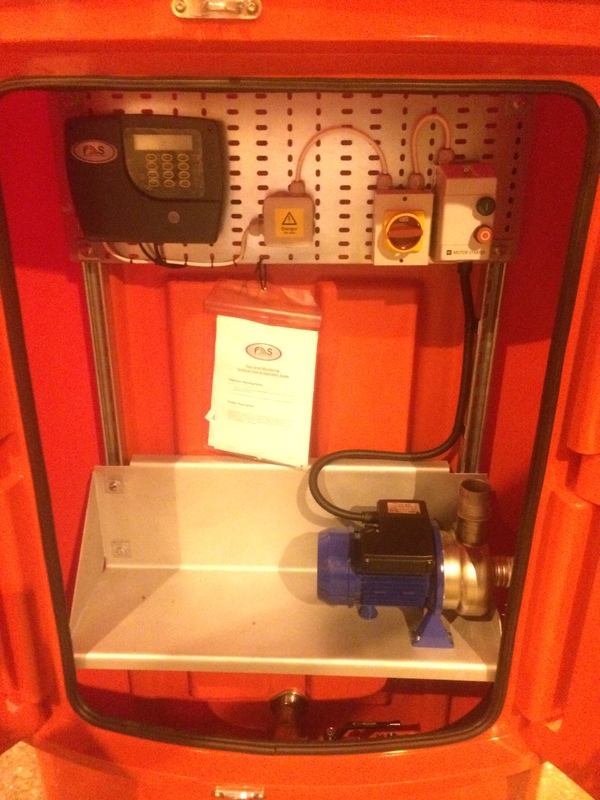 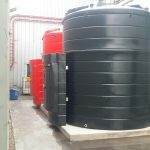 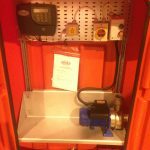 Both tanks were fitted with the Tuffa fuel management system; a combined high accuracy bund and overfill alarm and gauge unit; an increasingly popular option with our Tuffa products and were also fitted with 240V external pumps; one to enable the tank to be emptied into a collection tanker and another to fill IBC’s. 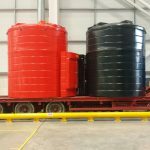 Both tanks were delivered to a site in the Midlands. 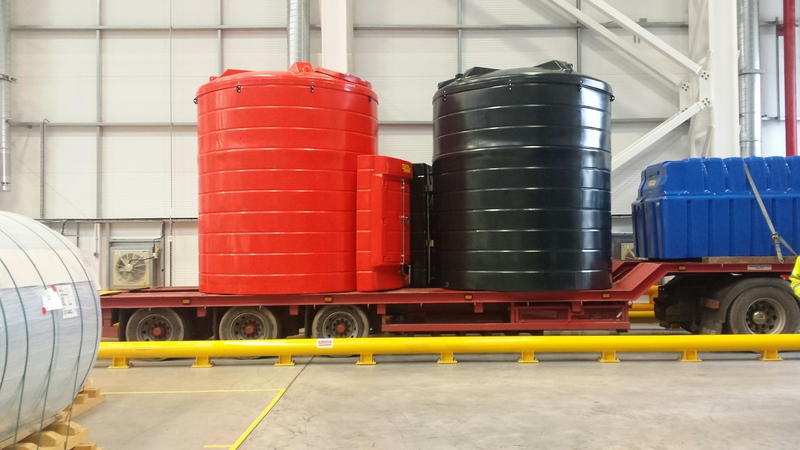 Images below show one of the tanks during manufacture, both tanks loaded on to the delivery vehicle and the final resting place of the tanks.